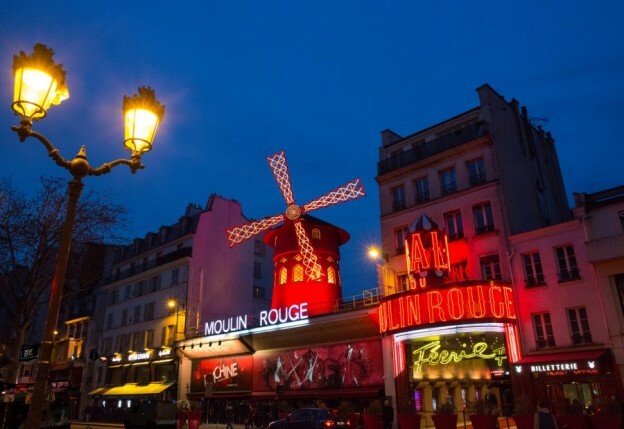 Its very name is such a cliché, you’d be tempted to think the word itself is a bastardisation of Clichy, the boulevard synonymous with the legendary Moulin Rouge, But cliché or not, this sumptuous cabaret approaching its 130th birthday continues to be the greatest show in town. In 1889 it attracted the likes of Toulouse Lautrec, who immortalised this eye-popping costumed cabaret with his paintings of can can dancers and chanteuses high-kicking in a rich red, opulently upholstered dinner-theatre which remains unchanged thanks to its status as a landmark. The following year the future Edward VII was one of the first celebrity guests, and the show made stars of France’s most famous performers from Mistinguett to Edith Piaf, Charles Aznavour to Yves Montand. Bing Crosby, Ginger Rogers, Mikhail Barischnikoff and even the Village People have made guest appearances, while Liza Minnelli got a one-woman show and Frank Sinatra and Dean Martin a gala apiece in the decade of the show’s centenary. 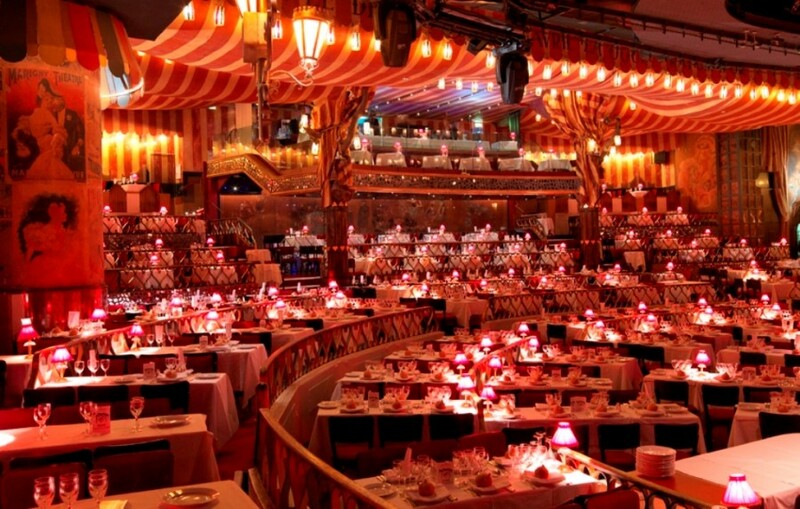 Guests still sit at tables facing the stage set with elegant little lamps and are served Champagne, the official drink of the Moulin Rouge, which cracks quarter of a million bottles per year. The overflowing bubbly is almost as un-PC as controlling the weight of the cast, who have to be tall and gorgeous to get recruited in the first place, and no doubt some of the nine varieties of feather trimming many of their 1000 costumes. 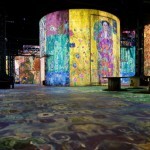 The show outranks virtually every other stage musical in the world with its permanent cast of 100 highly-trained dancers, including 60 Doriss Girls whose predecessors were the boldest and longest-limbed of the impoverished maids, washerwomen and seamstressses of Paris who transformed themselves into glamorous can can dancers by night. No wonder their successors are now sought in auditions all the way from London to Las Vegas and Sydney – as well as having a grounding in classical ballet, for which at a minimum height of 5.8” most female hoofers would be considered too tall, those with solo aspirations have to be able to sing as well. Today’s Moulin Rouge also features more than a dozen utterly gorgeous men – those under 6’3” need not apply. Ticket prices starting at €87 are fair value compared to those for West End and Broadway musicals, given the €8m cost of mounting the current show, Feerie, not least installing a giant 40-ton aquarium to which the stage opens to facilitate a couple of show-stopping numbers. Spoiler alert: the human cast is augmented by five pythons and half a dozen horses, who like the dancers are required to come out fighting fit for two exhaustingly high-energy 90-minute shows every night, 365 days per year, with just a half-hour rest break in between. It’s not quite over even when it’s over – the magnificent belle epoque room remains a feast for the eyes during the several minutes it takes to file out, and the pavement is clogged with audience members and passers-by stopped in their tracks, phones aloft, to capture the famous red windmill which is as emblematic of Paris as its contemporary, the Eiffel Tower. 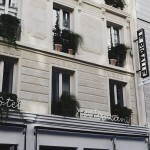 Given that the last show empties out well past 1am, the charmingly retro Hotel Le Pigalle down the road makes an ideal base for those planning to include, as every visitor to Paris should at least once, a night at the Moulin Rouge.